Can we let you into our secret? Ebners Waldhof in the Salzkammergut Lake District is the perfect hiking hotel for all those who love spending time in the great outdoors. For singles and those travelling alone hiking is the ideal pastime. It's inevitable that you'll meet like-minded people on your hikes. 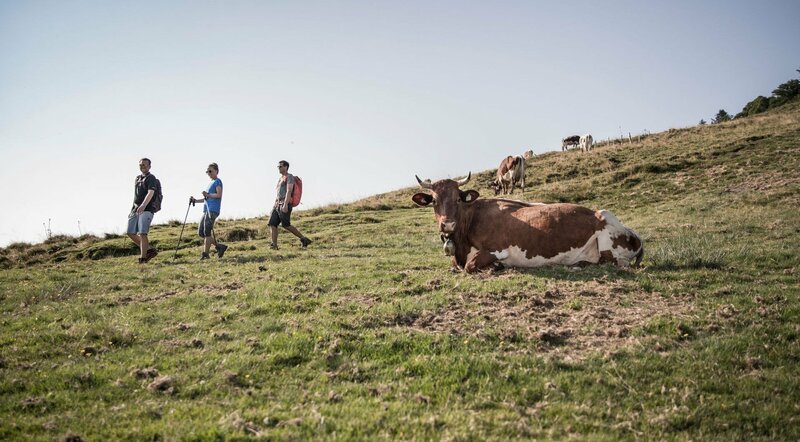 Which means, you can enjoy your hiking holiday in solitude if that's what you're want or make new friends as you explore the amazing Salzkammergut countryside. So lace up your walking boots, grab your rucksack and head off to the peaks, lakes and mountain meadows. Taking a new path both literally and metaphorically will do you good. Whether you are alone or in company, a hiking holiday at Ebner's Waldhof will lift your spirits, tone your muscles and open up new perspectives. 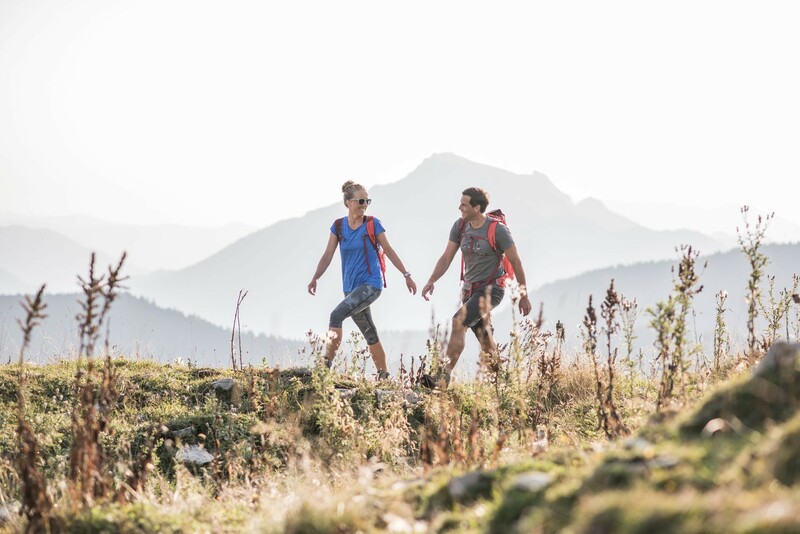 Familie Ebner and fitness coach Conny know the walking trails of the Salzkammergut Lake District like the back of their hands. Each week during the hiking season guided walks are offered. When walking in a group, it's easy to strike up conversation with like-minded guests. 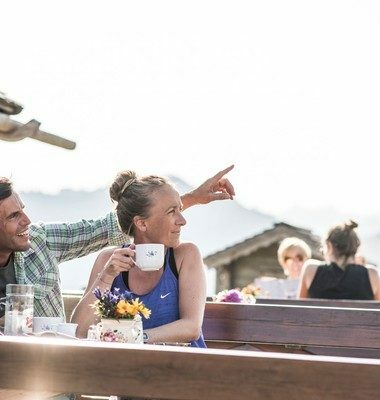 Enjoy one fantastic view point after another, fresh air and good company. Babbling brooks and the rustling of leaves in the breeze and birds twittering in the trees overhead. The Salzkammergut is wonderful region for hiking. Especially in the Lake Fuschl Region there are a multitude of hiking paths – around the lake or up into the surrounding mountains. Step by step you let go of the thoughts and worries of your day-to-day life and your mind becomes clearer. And when you reach the summit everything below you seems small, things are put into perspective and you simply enjoy the moment without reason or agenda. You too feel small in the midst of all the natural grandeur that surrounds you. 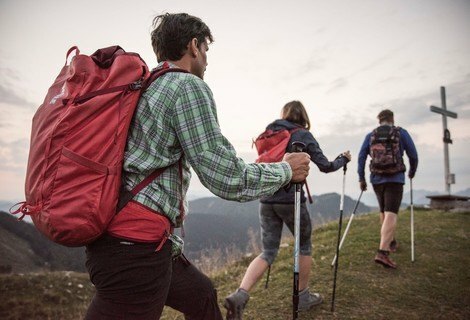 Hiking sets you free alone, as a family or in a group. Some long-distance hiking trails also lead through the Salzkammergut. You can peak these up at different access points. Via Alpina: Covering a total distance of 5,000 kilometres it crosses 8 countries in 342 stages, with up to 3,000 metres of altitude difference. The Via Alpina is divided into 5 colour-coded sections and the purple one takes hikers through the Salzkammergut mountains. Voralpenweg 04: The "Voralpine" long distance trails cuts through the Austrian Counties of Vienna, Lower Austria, Upper Austria and Salzburg where it can be picked up in Fuschl am See in the Salzkammergut. Route no. 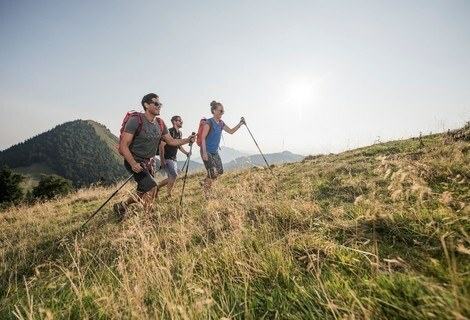 10, the "Rupertiweg": The trail starts close to the Czech boarder in Bärenstein and then winds its way through Upper Austria, Salzburg including the Salzkammergut and continues on as far as Naßfeld in Carinthia. Via Nova: The European pilgrimage path unites old historic pilgrimage routes. Section 5 passes through the Salzkammergut. Die Einzelsuiten in Ebners Waldhof sind das perfekte Domizil für anspruchsvolle Alleinreisende. Dampfdusche, Bett mit Seeblick und am Balkon steht ein Schaukelstuhl, auf dem Sie der Sonne zusehen können, wie Sie langsam in den Fuschlsee eintaucht. Lust auf Wandern? Dann zögern Sie nicht und machen Sie eine der Einzelsuiten im Waldhof zu Ihrem luxuriösen Basislager für inspirierende Wanderungen in die herrliche Natur. Schicken Sie uns noch heute Ihre unverbindliche Buchungsanfrage!